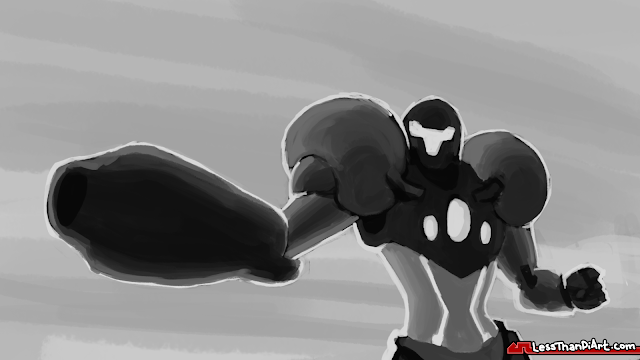 LessThanPi Art: Samus Aran is back! Samus as been gone for far too long. I mentioned a few times now; if you've been following for a while; that I wanted to paint me some Samus... well she is finally here! 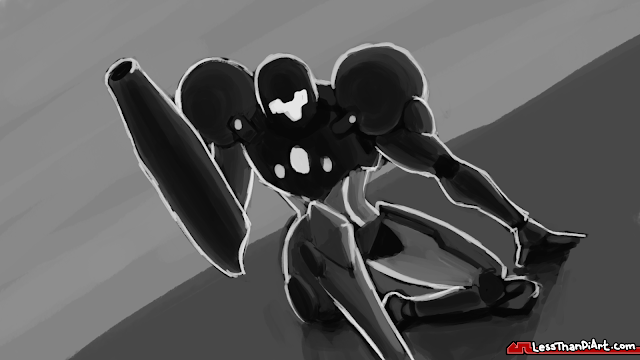 And not just once either, I did 7 speed paints total for you samus fans! 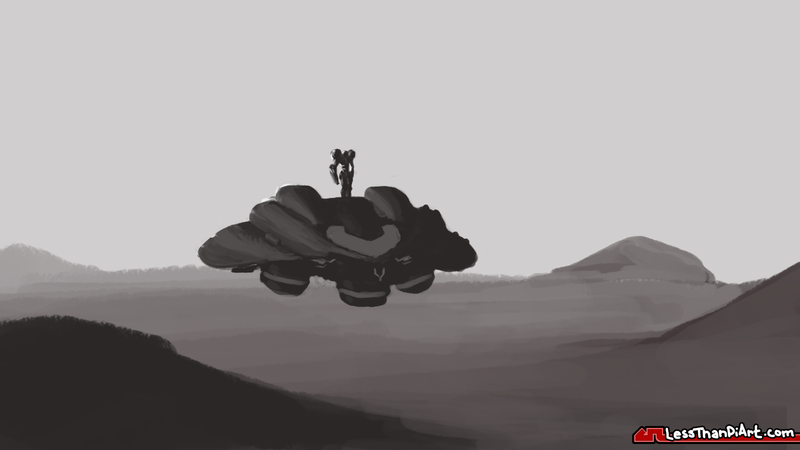 Now the hope was to have the speed painting out first, but you guys shouldn't be left hanging now should you. Here is the nitty gritty on my on my thought process, and the other images. So There is a little back story on this one.... er... these ones? I have always been a big fan of Alan Gee's work. 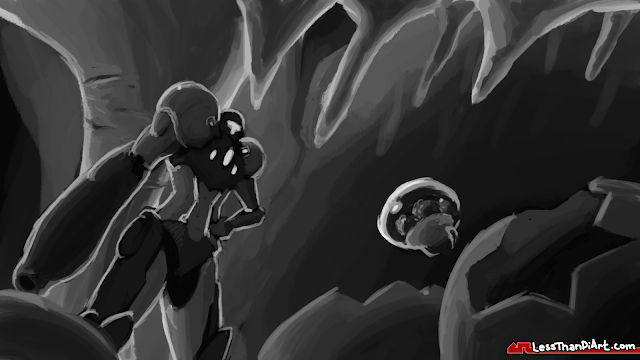 So once I heard Alan's take on the original Metroid's opening theme it was a wrap! Well a slow and calculated wrap, but a wrap none the less. 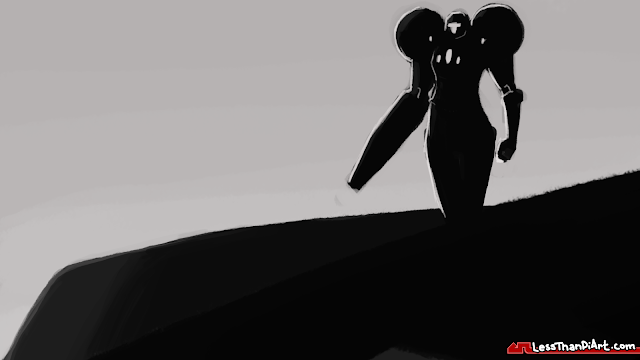 In fact the final bow; the speed paint video; is still in the works. So do expect to see it very soon; it will be the next video out. In kind of whats becoming LessThanPi Art tradition on the YouTube channel I am always trying to out do the previous video with the motion graphics portions that normally play at the beginning and sometimes in the middle of the videos. 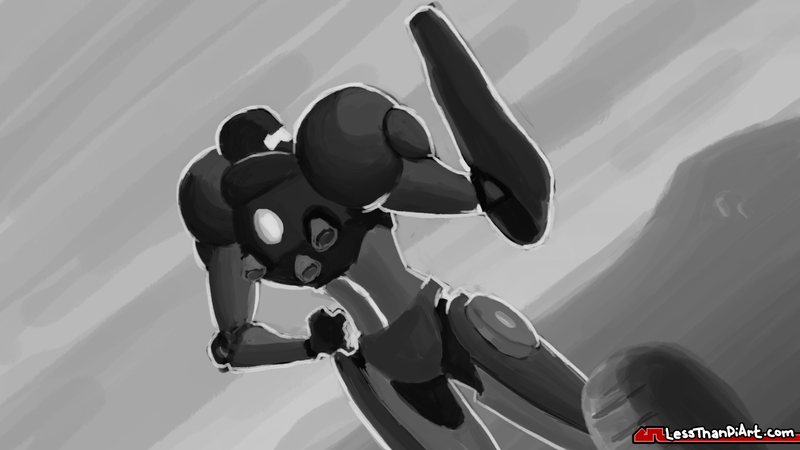 This Speed painting video will have scene changes cued by the beat of the music. Doing highly detailed backgrounds proved to be a bit of a challenge and didn't seem worth the trouble for something you see for less than a full beat during the opening sequence. They were dropped after the first couple in order to save time and move on to other projects. I would like to start doing daily studies again like back during the old days of LessThanPi Art. Back when we were doing landscapes and portraits from photo reference in order to get faster at creating scenes and better at anatomy. Is that something you guys would be interested in? I think it would really help out pieces like these ones ascetically and allow me to get more content out regularly. Samus is my number 2 favorite video game character of all time second only to... yep you guessed it Kirby! 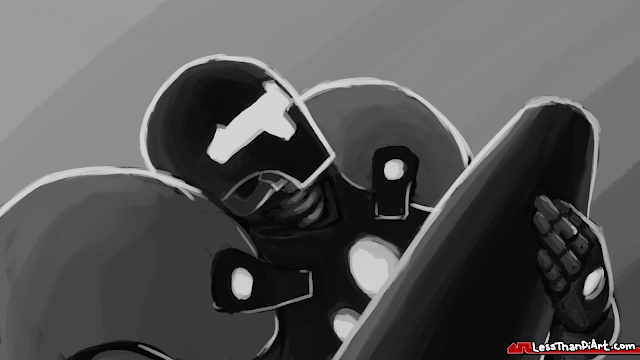 You can click here to check out the first ever kirby painting posted on the site. Since then I have been able to get my Kirby fix while working on projects for Ambrose from My Smash Corner. Hopefully we will be seeing some of that work show up on the YouTube channel in the future in some shape or another. While these aren't very well polished due to time constrains they were made to fit on 1600 x 900 monitors, Go ahead and grab one if you like it, or even better share it with a friend! Definitely let me know how you like this format and what changes if any you'd like to see and of course let us know what type of content you'd like to see in the future. This whole LessThanPi Art thing is all about you! Well alright guys and gals! God bless, be safe. And as always, follow your dreams! You are never too old, and never too young!